There she is, ready-set-go for the shooting of GENLUX Magazine’s cover for winter issue. 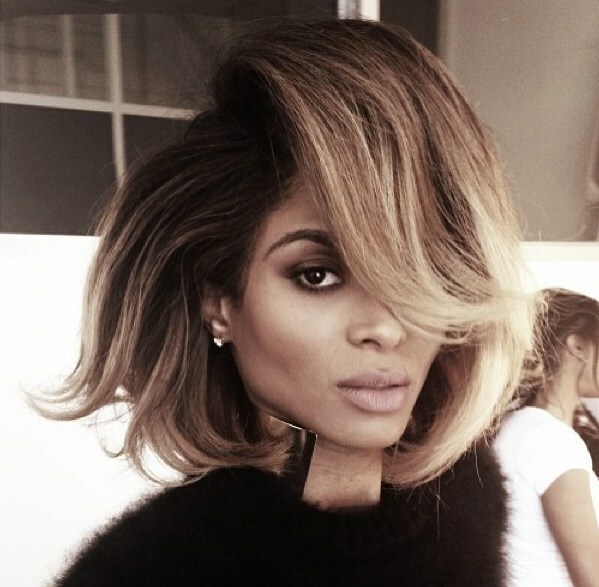 For this exquisite bouffant, Ciara’s medium long hair is heavily teased and deep side parted, with a large frontal section covering half of her face. In this edition her gorgeous ombre colored hair is simply nothing less than a one way ticket to Glamour Land.